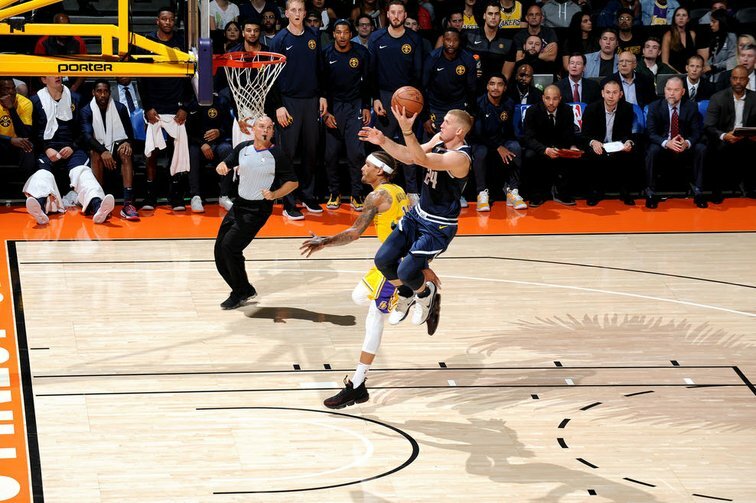 If there was a Nuggets Player of the Game on Sunday, Plumlee would have gotten it. From screening to passing to defense to making all five of his free throws, Plumlee graded out highly in nearly every area. His movement on the court was always with purpose. He had good vision in hitting open players with passes. He showed hustle in stealing an inbounds pass and taking it the length of the court for a left-handed layup. He hit the offensive glass hard to keep Nuggets possessions alive. There was a ton to like about what he put on the court in San Diego. His final line? A near triple-double of 11 points, eight rebounds (four offensive) and six assists. He’s healthy this season, and that has made a real difference in how he gets around the court.